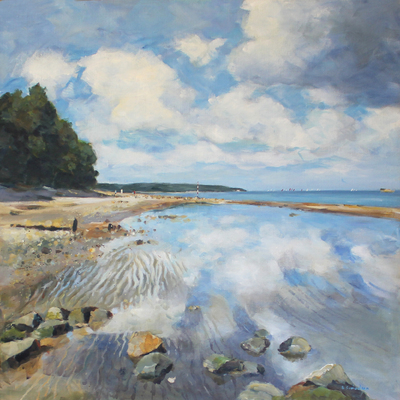 Seascape & landscape paintings in all mediums of IOW & beyond. Regular exhibitions IOW & mainland. Original art, cards, commissions, prints. Watercolour classes, demonstrations and workshops. My studio is open all year and I welcome visitors. Please find it in the back garden of Kempsford, Hilbre Rd, St Helens PO33 1TJ which is a single road off the lower side of the cricket green in St Helens. 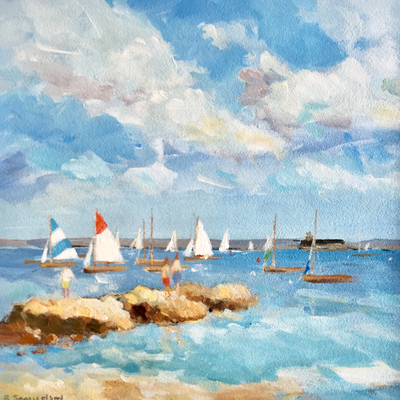 I have been painting professionally for thirty years based from my studio in St Helens on the Isle of Wight, with a particular interest in seascape and landscape painting. Throughout these years I have become a member of ‘The Society of Women Artists’ and ‘The Hilliard Society of Miniaturists’. Much of my inspiration comes from our amazing Island Countryside with its huge diversity and great natural light providing me with constant inspiration. I particularly love the use of colour and the effect of light and seek out new and innovative ways of interpreting my subject. 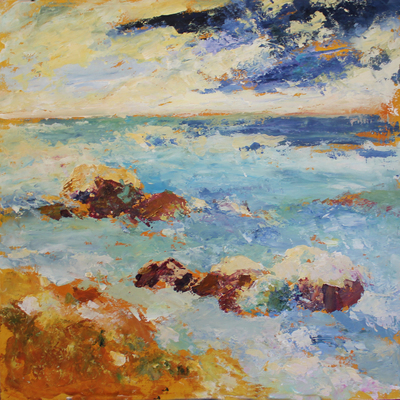 I enjoy all mediums particularly acrylic, watercolour and oil and explore new ways in which they can be used. My work has been exhibited in galleries both on and off the Isle of Wight including Seaview Arts, Bembridge Gallery and Kendalls Gallery Isle of Wight; UK Fine Art, Ledbury; Alexander Gallery Bristol and galleries in Datchet and Petersfield. I exhibit annually with ‘The Art for Youth ‘Exhibition and ‘The Society of Women Artists’ exhibition both held at The Mall Galleries plus many private exhibitions. I am very happy to undertake commissions and welcome visitors to my studio throughout the year. Give me a call on 01983 873351 or turn up en spec! Since 1994 I have taught both privately and for the Adult Education service at the Isle of Wight College, running courses, outdoor summer classes and workshops. 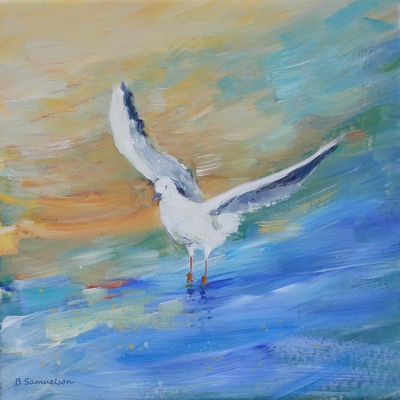 I have been a contributor to the Leisure Painter Magazine for many years and I am a professional member of the SAA. Other publications have included Country Homes and Interiors, Pastel Artist International Magazine, as greeting cards with Medici Galleries and Noel Tatt and as prints and greeting cards through Art Marketing.